ASEAN Young Entrepreneurs, Unleash the HERO in you! 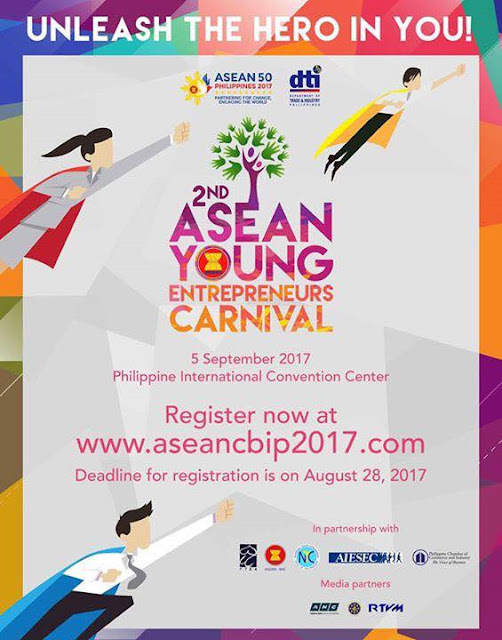 The ASEAN National Organizing Council, through the Department of Trade and Industry - ASEAN Committee on Business and Investment Promotion, is inviting all young entrepreneurs (18-45 years old) to join the 2nd ASEAN Young Entrepreneurs Carnival. It will be held on the 5th of September 2017 at the PICC. The Carnival will be a celebration of ideas and the future, of Southeast Asian youth moving and shaking the world of entrepreneurship. Kindly visit www.aseancbip2017.com, click the 'Young Entrepreneurs Carnival' tab and register! See you there and may the #FORCEBEWITHYOUTH! 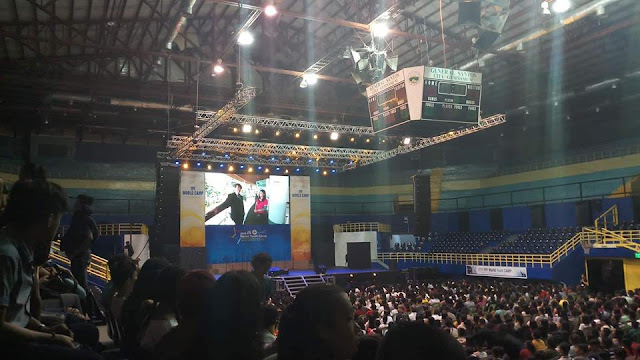 Photo from DTI and ASEAN CBIP!